The Alavés saw truncated its good streak before its public. He did not lose in Mendizorroza since April 29, 2018, last season. El Rayo ended with the spell of Mendizorroza. 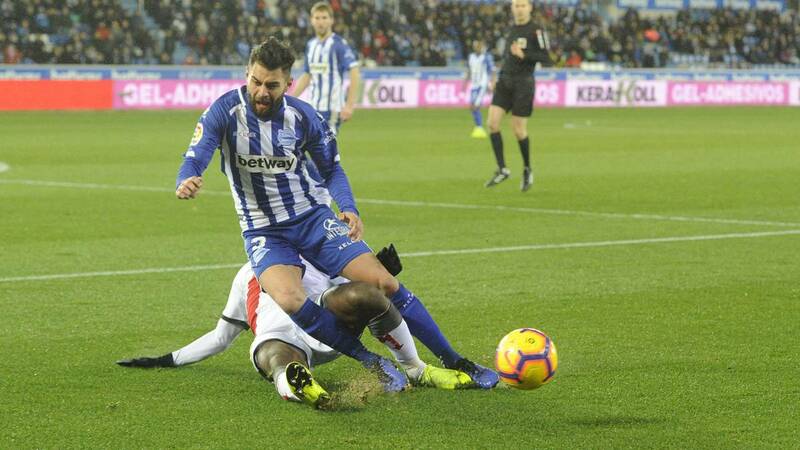 The Alavés did not lose at home since April 29, 2018. On that occasion it was Atlético de Madrid that could overcome by 0-1. Since then, in league and cup of the King, everything had been victories or ties. Paramente the set of the Metropolitan Wanda is the only club of First that follows unbeaten in its field of game in the present campaign. In the 2018/19 season Abelardo's had played ten games, with a balance of six wins and four draws. The balance was spectacular with 22 points out of 30 possible. And that had already passed through Mendizorroza powerful sets like Real Madrid, Betis, Sevilla or Valencia. That circumstance was truncated Monday with the victory of Rayo Vallecano. things have not started well in the second round for Abelardo's team, with a 4-0 in Getafe and the defeat with the Vallecanos. The team rests until tomorrow Wednesday afternoon. Thursday will also have afternoon session and Friday and Saturday work in the morning. On the other hand, the club announced the renewal of Javi Cabello, second coach of Pitu Abelardo. Cabello became interim in the periods between Zubeldía and De Biasi and of the Italian and the Asturian. What you need to know is whether the Sports Director Sergio Fernandez and the coach of Gijón are still in charge of their positions.